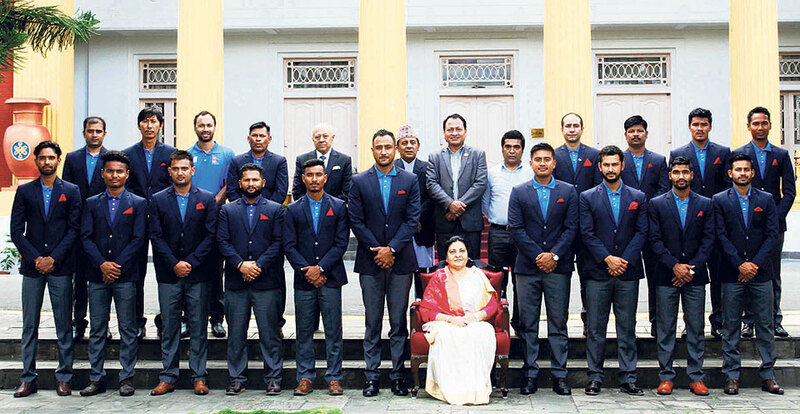 KATHMANDU, Aug 15: President Bidya Devi Bhandari has felicitated the Nepal national cricket team amid a lunch held at Sheetal Niwas in Kathmandu on Tuesday. The president urged the government to ensure capacity building, security, and better living standards of the sportspersons. The president said she kept herself updated on Nepali sports teams’ achievements in the international arena. She asked the related bodies to resolve the current crisis in cricket at the earliest possible so that the growing sport could reach its true potential. 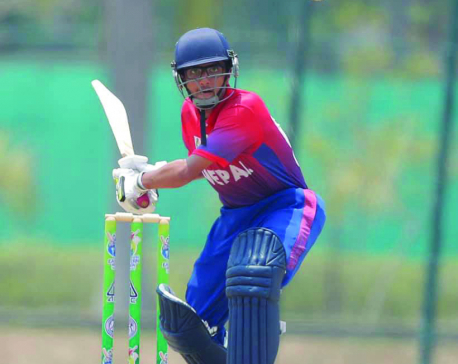 Nepal cricket team recently played their first-ever one-day international (ODI) series against the Netherlands at Amstelveen registering a dramatic one-run win in the second match to draw the two-match series one-one. The national team has acquired the much coveted ODI status in March during the ICC World Cup Qualifiers 2018. The president congratulated the national team and asked the associated departments to focus on school cricket for overall development of the sports. The efforts of the cricketers to maintain the pride of the nation high and hold the national flag in international arena despite all challenges is praiseworthy, she added. The president also urged all athletes to keep up their good works. 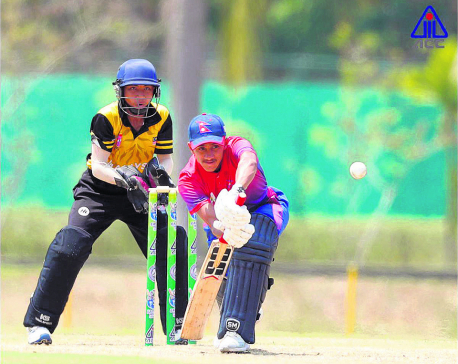 The member-secretary of National Sports Council (NSC), Keshav Bista, who was also present on the occasion, informed that the land revenue problem of the Mulpani Cricket Ground has been addressed by the cabinet. He added that the suspension of the Cricket Association of Nepal (CAN) would be lifted soon. Similarly, the head coach of Nepal cricket team, Jagat Tamata, expressed his gratitude to everybody involved for the success of current team.